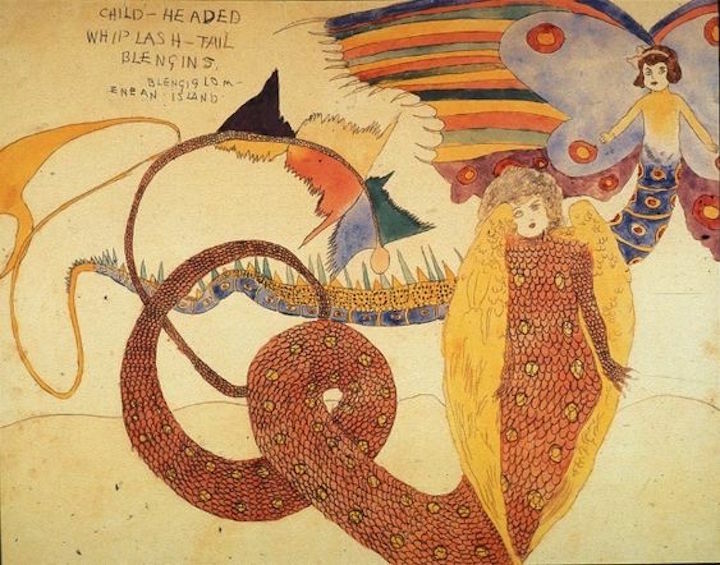 One of John Ashbery's later volumes was devoted to Darger. Ashbery himself used to produce Darger-like collages. Alex Ferguson, guitarist here with ATV, was supposed to play on my band's stupid single, but he slept in that morning. Holly! Nice to see you here! Listening while grading papers! Fun! Is the music making you more indulgent or less forgiving? Howdy all - sounds good out here in the icy midwest! The producer of that SFT album also produced Genesis's first LP. Hey, Nick! I've chained the ball to my arm, so we should be OK. Mine is still around my ankle so no fear of dropping it. Haven't thought of Micachu & the Shapes in a while. Where are they now? Doing the Las Vegas circuit? Hi Tony and listeners! Unfortunately I can't technically listen live today. I'll catch up the archive later. But just for Darger it was worth it to pay a visit! Sporadic, atonal guitar blurts really gun my motor. RRRRR! I recently bought a guitar after many, many years of not having one and it's the only way I know how to play. Hey, there! I see you! Moo! Moo! More mooing please! Do cow ghosts say "moo" too? Or "boo"? - do i look like i just saw a ghost? i did, but she couldn't stay. Sad Breakfast makes me laugh. The title, I mean. Good afternoon Tony and everyone! Sad that I seem to have missed the moo moment of this show. But I like to think cow ghosts moo too. hi Mayuko. my cow ghost did. didn't have much else to say though. i think she was being polite; she didn't want to moo with cud in her mouth. @coelacanth∅ Yes! Cows are good, dead or alive. Many years ago, I slept in a field overnight and was woken up by a cow licking my face. it always amazes me how very large creatures, like cows and horses, (& huge ones, like elephants) can be so gentle and graceful when conducting themselves around much more fragile beings. 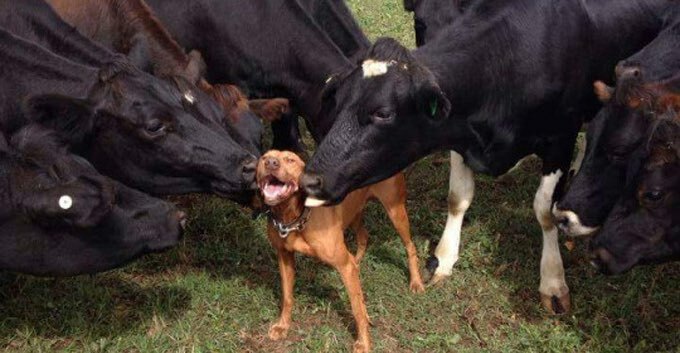 I wonder if the cow was being extremely friendly or trying to figure out if you're edible?!?!? I'm guessing I was supplying its minimum daily salt intake. Haha! And so you got to wash your face without finding water. Kind of. @Tony@2:24, haaa! That raises a lot of questions. my guess would be either the salt; or it thought you were hurt and was doing the only thing cows know to do to revive you. Maybe the cow had a beef over your occupying its field? If memory serves, it was a Tennessee cow, so I probably provided her only chance to lick a city slicker from the Big Apple. Why, I'm looking into the "néant blanc" right now. It's really snowing. Been in an editing frenzy ahead of deadline, but happy to have had this show speeding me along! I wish the show just started (or I tuned in earlier)! Have to go back in the archives. Thank you Tony!! Thanks, everybody! Hope to see you next week!